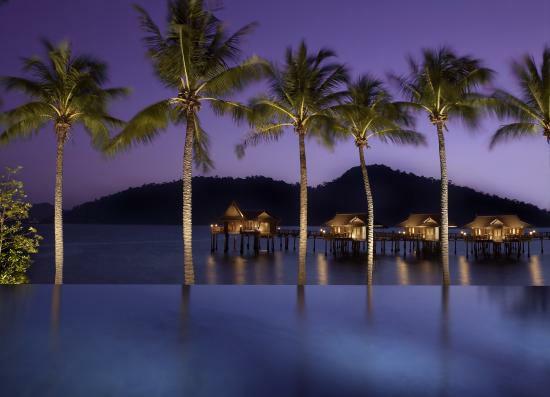 If you want to experience your own slice of a private island but don’t have Richard Branson’s bank balance, then let me introduce you to Pulau Pangkor Laut. A five star luxury resort with bungalows standing up out of the turquoise sea, an award winning spa, eternity pools where you can gaze the day away, and staff to cater to your every whim. All only a few hours from Kuala Lumpur. This is Pangkor Laut island off the West coast of Malaysia. 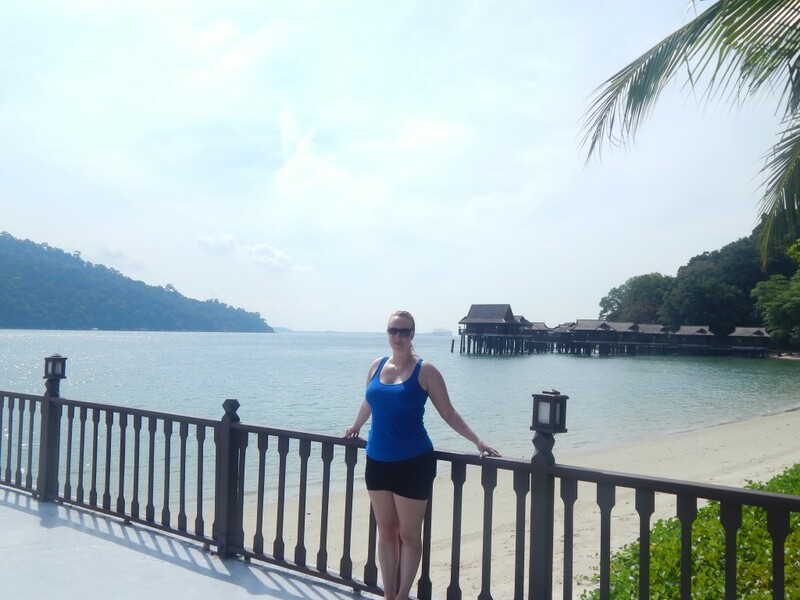 When planning my recent holiday to Malaysia I wanted to explore all the capital of Kuala Lumpur had to offer but I also wanted to get in some R&R on the beach. 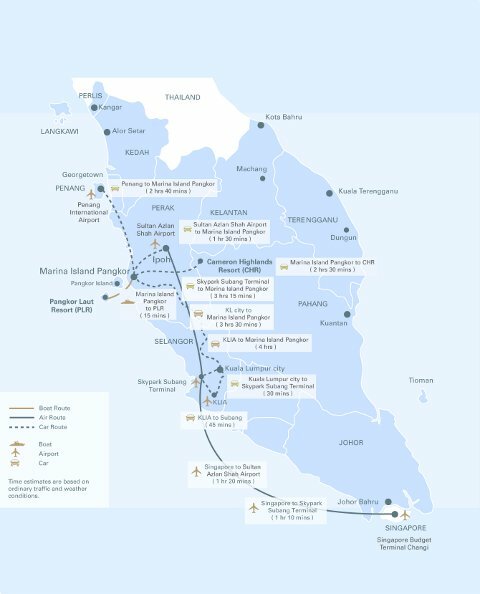 I knew Malaysia offered some beautiful islands to even rival Thailand and Philippines yet I didn’t have the time or inclination to hop on another plane/night bus/train to travel the distance to them. None of them were near to Kuala Lumpur. But after hours and hours of scouring the internet that’s when I came across Pangkor Laut island (or as the Malays call it ‘Pulau Pangkor Laut‘). This post is so incredibly glowing of the place that before we go any further – and anyone wonders – I want to stress that this is in no ways a sponsored post. It just really is that special. 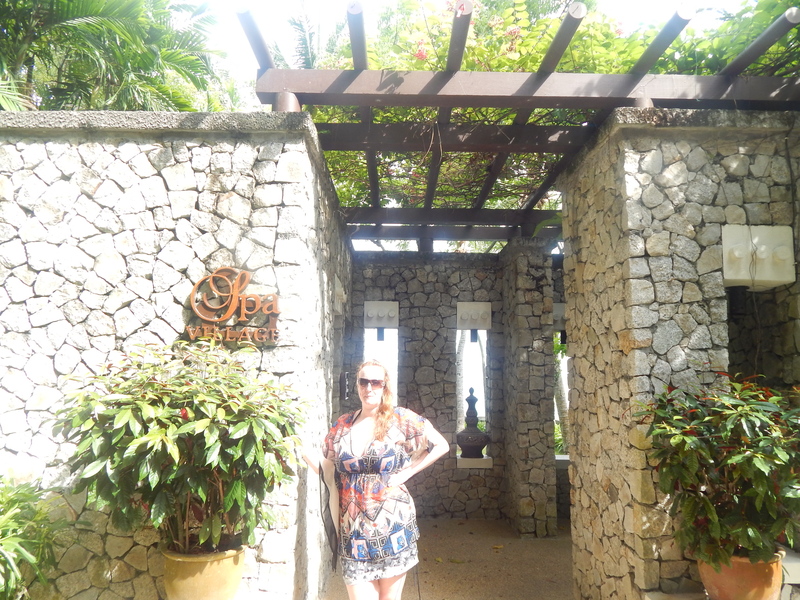 I stumbled across this island resort myself and the resort staff do not know I am writing this review. The only reason I am writing it is that I want to share another less well-known gem of a place – convenient to get to from Kuala Lumpur – with my readers. 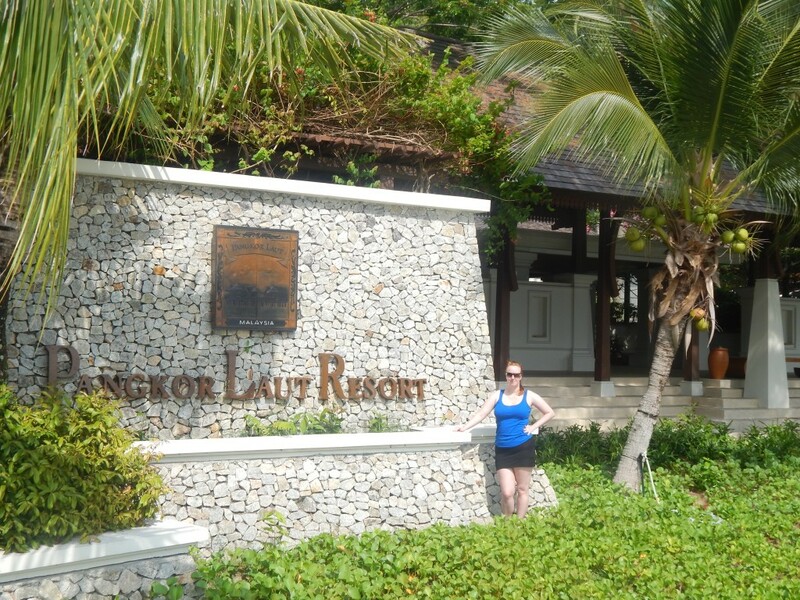 I also want to clarify that Pangkor and Pangkor Laut are not the same places. Pangkor Laut is a private resort island a 10 minute boat ride away from Pangkor (more information on how to get there is below). Pangkor Laut has some serious accolades. Travelchannel.com boast it one of the world’s hottest hotels; it was voted Best Hotel of the Year by the Pacific Asia Travel Association UK, Best Beach Resort by Senses Wellness Guide, it won a Five Star Diamond Award by The American Academy of Hospitality Sciences and that’s only to name a selection without counting the numerous awards that their spa have won. Of course there is a price tag on all of this, and a fairly hefty at that. 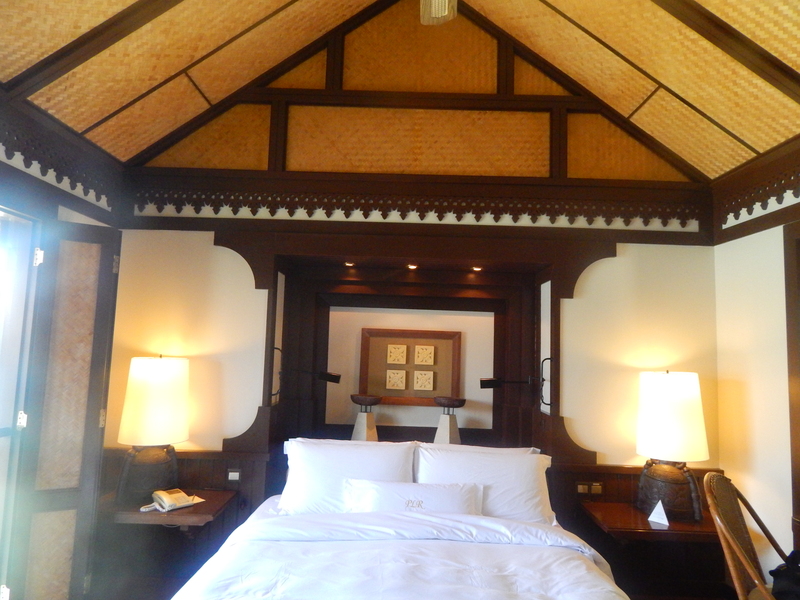 It cost around £200 per night excluding food for a sea villa or £140 for a garden villa. But once you have recovered from hearing that, let me remind you this is a private island with only one luxury resort on it. Rest assured that same price in Europe/US that wouldn’t get you the kind of decadence that you get here. As there is only one resort on the island, the only way to get there is by the resort’s transportation which runs from the marina on Pangkor, the Western side of mainland Malaysia to Pangkor Laut itself. The journey to the island gives you a taste of what is to come during your stay, with the brand new speed boats comfortably whizzing you to the private island resort in less than 10 minutes. There is a charge for the journey which I felt would be better if it had been included in the accommodation price, seeing as you have no choice but to get their speedboat if you are going to stay there. You can book the transportation there and back at the time of booking your accommodation online. This is the sight which greets you when you pull into the island’s small harbour. Bearing in mind that harbours usually have the least attractive patch of sea in a whole island, you can see this one is still tempting enough to swim in. A good sign I thought, as we walked empty handed down the jetty, the staff carrying our bags. They have several different types of accommodation on the island (in order of ascending price): garden villa, hill villa, beach villa, sea villa and spa villa. You can see the hill villas nestled into the jungle in the photo of the harbour above. Over the days we walked past all of the different accommodation and they all looked gorgeous; I would have been more than happy to stay in any of them. However, we had booked the sea villa as I’ve always wanted to stay in over the water accommodation. 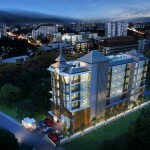 You usually find this type of luxurious living in Seychelles, Bora Bora, Mauritius or Maldives. 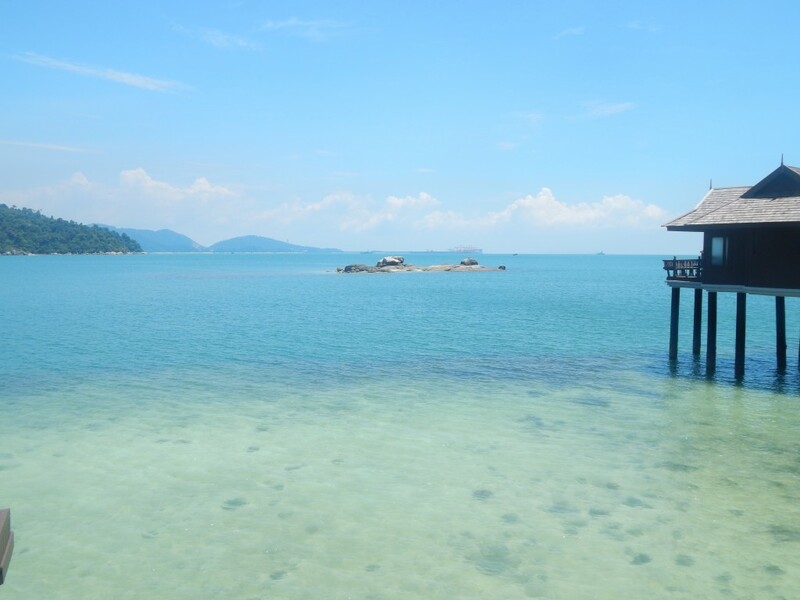 But Pangkor Laut is the only place in Asia which I know of that also boasts over the water bungalows. I squealed in delight when I got to the end of the jetty and saw this gorgeous view over to the sea bungalow we had booked. At the reception we were welcomed with a cool drink and face towel which were much needed in the intense midday sun. The speed boat we arrived in had been full so there must have been at least 10 different groups of visitors who arrived at the same time as us. However, in true five star style not one visitor was left waiting; each of us had our own staff member who talked us through the resort’s facilities and escorted us to our accommodation. The island is only 300 acres in size but as this resort is the only one on the island they run a pick up and drop off service which drives along the small roads they’ve built to and from various stops on the island. Forget mini bus or tuk tuk here, this is five star luxury, with brand new air conditioned jeeps ferrying you from place to place. When we arrived at the villas the view over the Straits of Malacca was breathtaking. The still sea was lined with different shades of blue and fish danced in the water around the stilts. I was more than happy to call this our home for the next few days. We had initially booked a sea villa but the resort had kindly upgraded us for free to a spa villa. 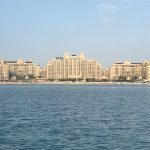 Both are over the sea and look the same from the outside but apparently the spa villas are bigger as they have one accommodation per villa whereas the sea villas are split into two accommodations per unit. The spa villas are also located right at the far end of the resort – next to the resort’s award winning spa – which means it is extremely quiet. Whereas the sea villas are located nearer the main reception and pool. Only spa villa guests and those having a spa treatment can use the spa pool (but don’t worry the resort has two pools and to be honest my favourite pool was the one everyone could use). Whilst we enjoyed the privacy and space of a spa villa, it may have been a more convenient location to stay in the sea villas. However, I am never one to turn my nose up at a free upgrade! 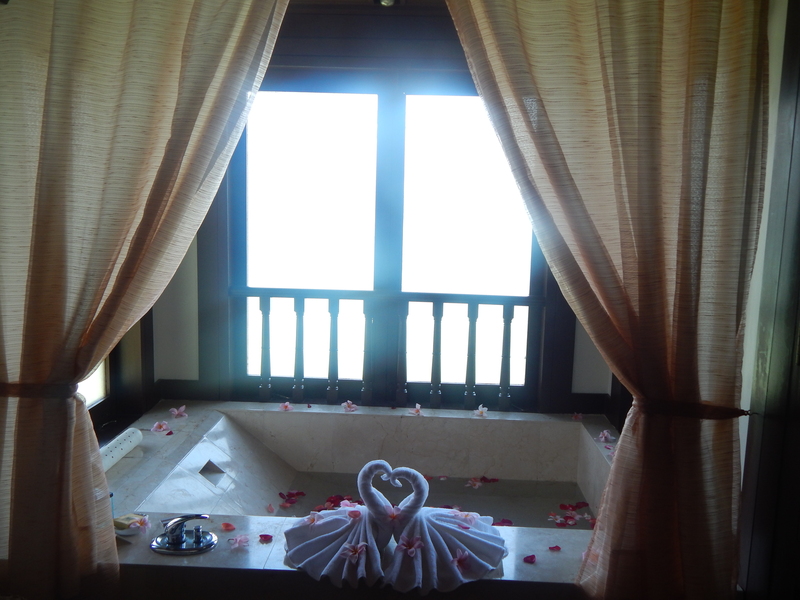 This was the inside of our spa villa. I’ve stayed in a few rickety wooden beach huts in my time. So when I saw our air conditioned room with no gaps in the walls or roof here that insects could climb in, and heard the blissful sound of the water below lapping against the villa’s stilts, I knew I was going to have one of the best night sleeps of my life. I put my bag down and then walked into the bathroom and this was awaiting me. That evening whilst the sun was setting, I had a bath with the shutters open to this view. The best backdrop to a bath I’ve ever had. The next morning, we booked a free class of Tai Chi. The resort run a fairly good programme of activities and day trips which you have to pay for. In addition they also run a few free activities such as Tai chi, yoga and walking treks into the resort’s 2 million year old jungle. It was only me and my boyfriend which had booked into the class that morning so we had a private lesson on the jetty with our instructor who had practised Tai Chi for over 20 years. 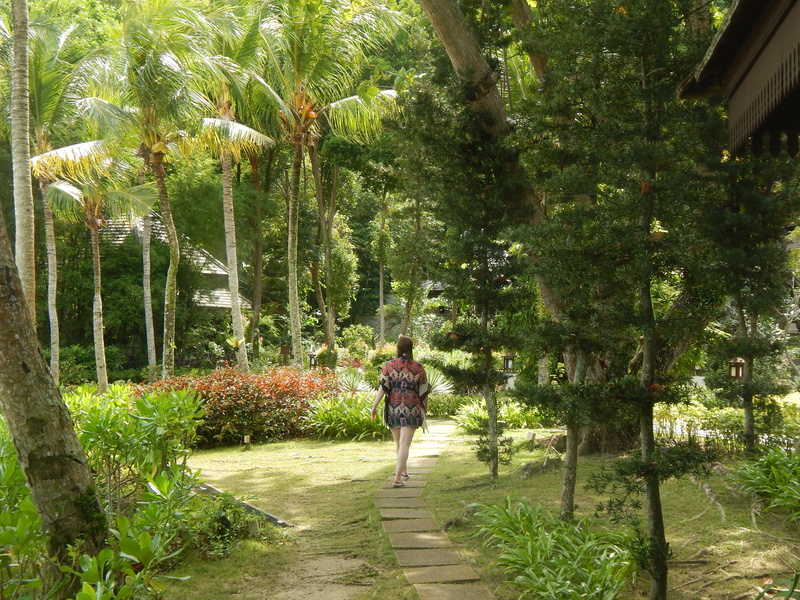 We then walked from our villa through these beautifully landscaped gardens laden with coconut trees and spa treatment rooms to the pick up spot. We never had to wait more than five minutes wherever we were before a car drove past to collect us. We asked them to drive us to Feast Village which is one of the resort’s seven restaurants, and the place the breakfast buffet would be served. Never ever have I seen such a huge breakfast buffet before. Enormous would be the word. You were spoilt for choice with cuisine from all over the world including the three corners of Malaysian culture, Malay, China and Indian. There was also a fresh juice bar, cereal bar and patisserie. Unfortunately I didn’t take a photo of this impressive sight as I was too busy devouring what was on offer. 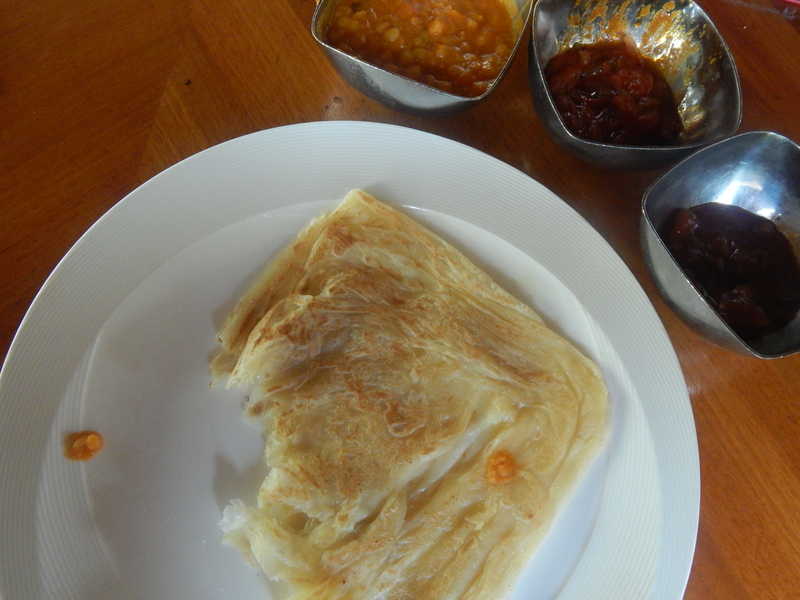 I wanted to try a bit of everything so I did have a really good roti with curry for breakfast, something that I would normally think is strange to eat at that time of day. But you know what they say, when in Roman do as the Romans do! There was only one thing left to do after breakfast; go and check out the resort’s pool. First of all we went to the spa pool and spent the morning chilling out there. 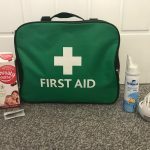 The staff bought you an ice bucket with bottles of mineral water and cold face towels when you sat down which was a lovely finishing touch. The only thing missing was that there wasn’t a waiting service for the sun beds. If you went to the bar and ordered a drink they would bring it to your sun bed, but they didn’t come around and take orders. Maybe I am just being lazy and didn’t want to get up from my bed! The spa pool is over 18s only so we lay there for hours in absolute peace before we had lunch at the spa’s Japanese restaurant. 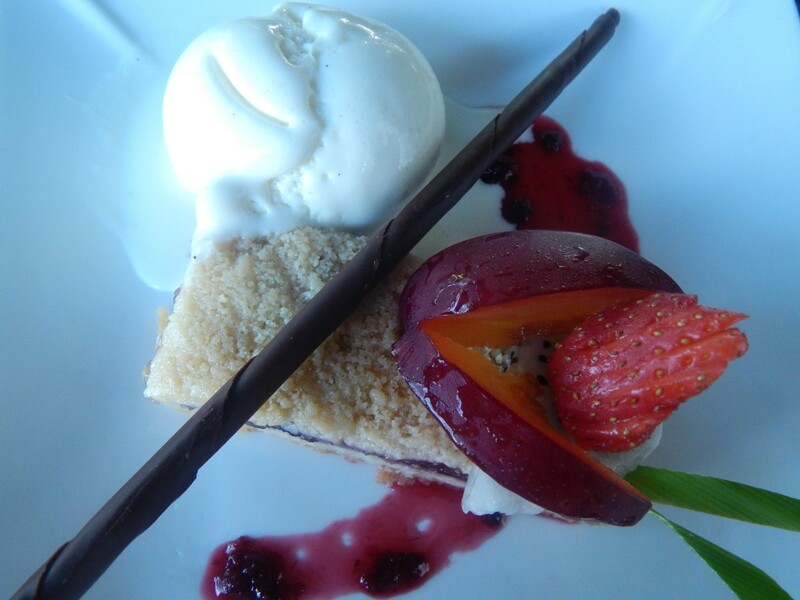 This was the crumble tart with ice cream I had for dessert. It tasted as good as it looked. However I did find the food on the island on the high side even for a luxury resort. Dinner for two with two courses and one cocktail each set us back about £80 which I would still consider on the high side in the UK let alone South East Asia. And because there is only this one resort on the island, you only have their restaurants and bars to eat at. However the choice was good with different cuisine served at the resort’s seven eateries, and prices were more reasonable at lunchtime by the pool bar. Also breakfast was so epic that you could fill yourself up on that an skip lunch if you wanted to. Then we decided to do more of the same lounging but by the other pool the resort offers. This pool is the one in the photo at the top of this post. I enjoyed this pool more than the spa one because although still quiet it had a bit more buzz than the spa pool. 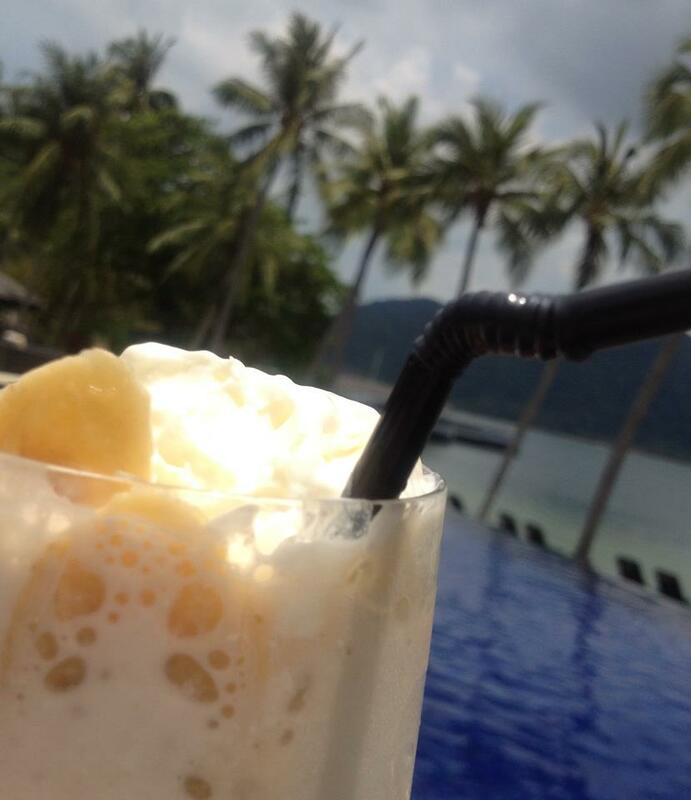 Plus the Royal Bay beach club there served the best banana smoothies with whipped cream on top. The perfect companion to sip on during 40 degree sunshine. After a tiring day by the pool (ahem) I had a spa treatment booked in. The treatments were quite pricey but I pre-booked it at the time of booking our accommodation so got a small discount. However, don’t let the price put you off as it was the best spa treatment I have ever had in my life! And if you’ve read some of my other posts such as this one on massages in Thailand, you’ll know I’ve tried quite a few. The spa menu was extensive with all the usual suspects plus more unusual ones like the scalp massage and hair treatment that I had. They ask you to come at least half an hour before your treatment begins as they take you through a traditional Malay bathing experience before your treatments. This is free and a nice add on. It includes a hot steam bath, cold river dip, Chinese bath house, back scrub and foot pounding. The wooden treatment rooms are set in the spa gardens and completely private. I didn’t hear a sound the whole time I was there and the treatment was so amazing I fell asleep during it. The customer service of the spa staff was second to none. The spa also possess this magic oil that they put on my mosquito bites and it made them instantly stop itching. I am always a favourite food of mosquitos but for an island I didn’t get bitten as badly as I’m used to. I’d still recommend you take your mosquito repellant though and stop by the spa to dab on some oil if you really start scratching like I did. The next day we decided to get a ride to explore the beach which is the other side of the island from the accommodation and reception area. Nestled off the jungle, away from everything but fellow visitors, is this gorgeous small beach enclave. 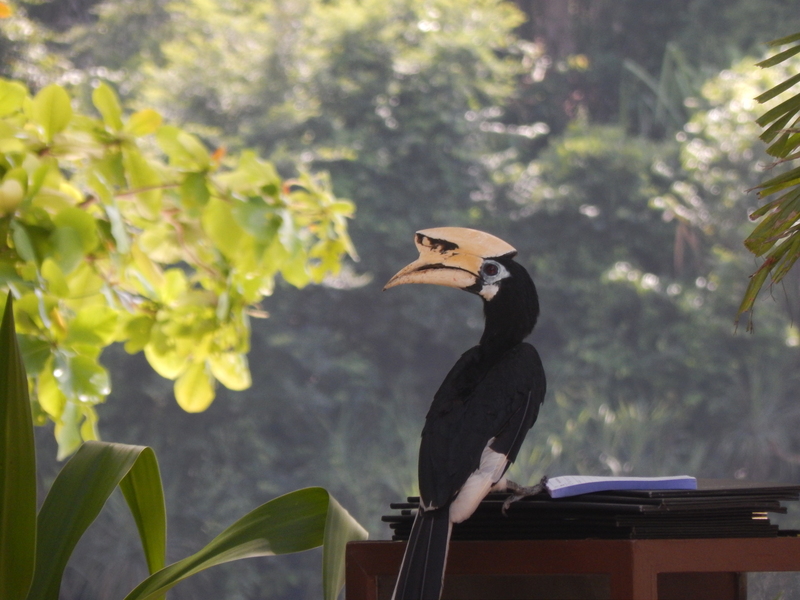 They also have a beach restaurant here where we saw this unusual bird and some monkeys. One of the staff members was telling me that they also have snakes and wild boar on the island as the majority of the island is un-developed. However, we never saw any and no guests have ever been bitten here. It all feels very safe despite the island being mainly jungle. However, this is nature and serenity with all the luxury and comforts of a 5 star hotel in any major city. We didn’t spend much time on the beach because it was pretty busy; nearly all the sun beds were taken. We preferred to laze by the pools which were both much quieter and still had a lovely view over the sea. 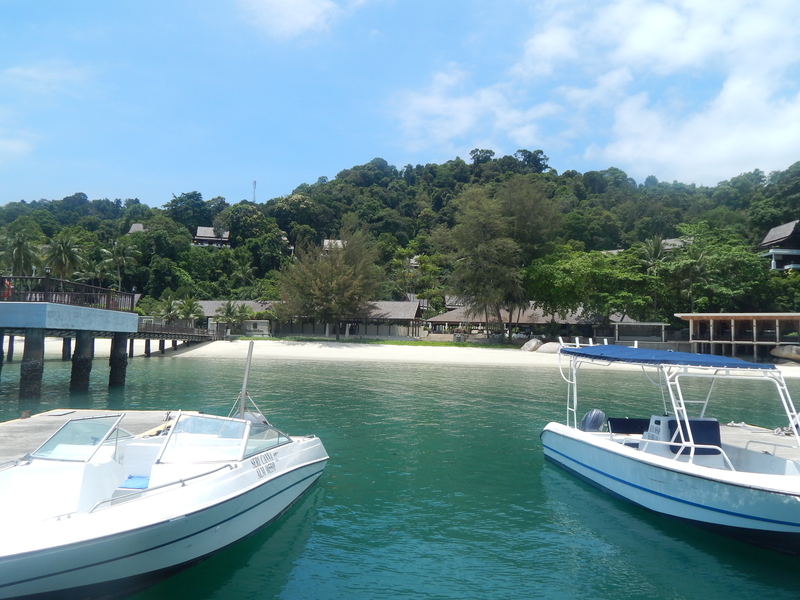 Then it was time to pack up our belongings and catch the last speed boat back to the mainland of Malaysia. 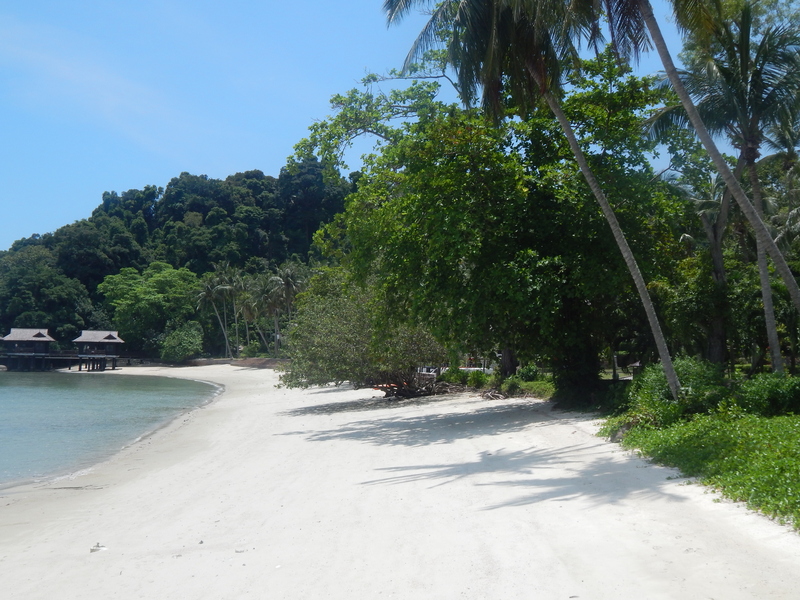 Pangkor Laut is the closest you will ever feel to owning a private island and boy does it feel really good. And to top it all off, unlike most serene island paradises it isn’t that far from civilization to get there. Pulau Pangkor Laut I will miss you! What do you think, does this look like paradise to you? Are you considering a trip here and need any tips? Have you been here yourself or do you know somewhere even better? Drop a comment. 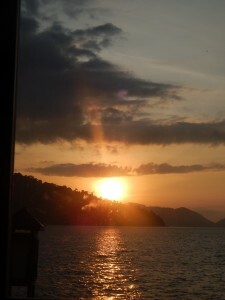 And to read about my favourite (and cheaper) Thailand paradise, check out another post of mine. I have to say it, you did a nice review for Pangkor Island. I’m yet to visit this place though I went there over 25 years ago. Perhaps I will make a trip there again soon. Thanks! 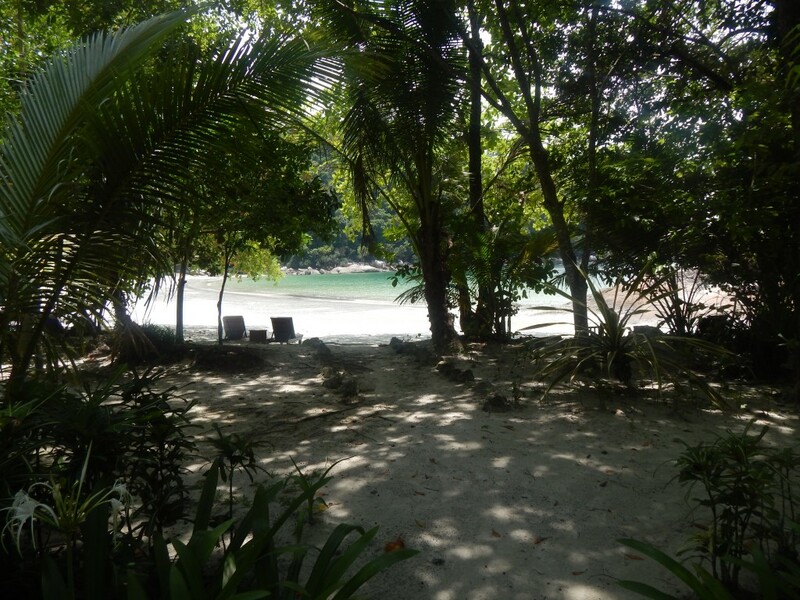 Ahhhh, you have me reliving my own trip to Pangkor Laut. I’m so glad that it did not disappoint. I myself had a fabulous time there as you could probably tell from my glowing blog post. Just read your fab review – can’t wait until.we arrive in early April. May I ask you 2 questions? Firstly what was the road tranfer like from KL? No mountainous roads I hope! And secondly as we are only on an HB package does the resort accept credit cards or will we need local currency? Thanks Rory. The road transfer was fine – no mountainous roads or dirt tracks – all main roads. At the resort you can keep a tab so whatever you eat or drink from any of the restaurants will just be added up and you can pay by credit or debit card for it all at check out. Makes it easy so you dont need to carry money or a card around. However, do be warned the food is very expensive and as you are on an island there are no other options to eat but at their restaurants. However, breakfast is amazing and huge so fill yourself up on that! Enjoy and I’d love to hear how your trip was when you return! Your experience sounds amazing! 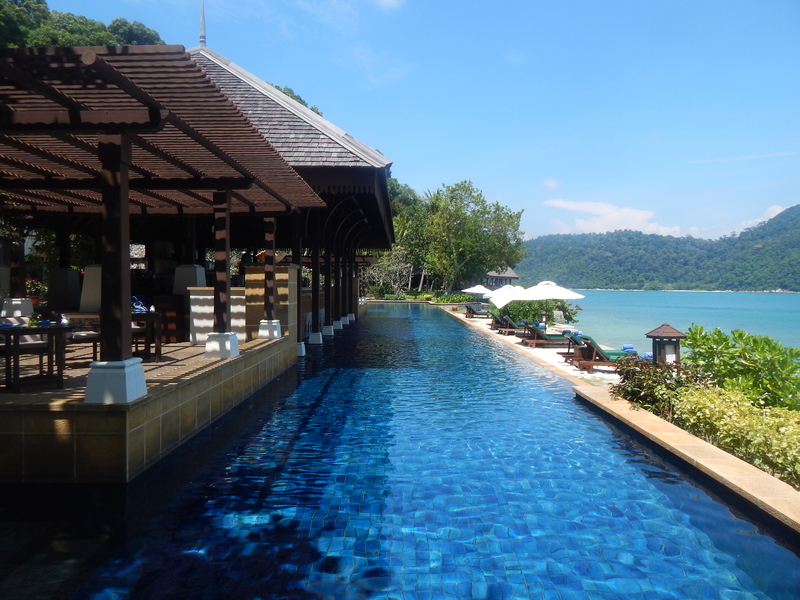 My husband and I are heading to Pangkor Laut in November and I’ve read mixed reviews about the water quality. Can you please tell me if it really was beautiful or was it murky? We’re from South Africa so we managed to get a decent package from YTL but i’ve been wondering about the restaurants there and what the prices are like for meals in the evening. Would really appreciate any feedback that you may have. Thanks! Hi ya and sorry for the delay replying! I am so glad you are going, you will have the best time, it is amazing! I didn’t actually go in the sea itself because the pools were so gorgeous. We could see the sea underneath our over the water villa though and it was quite rough and choppy and therefore murky. The restaurants are pretty expensive too and as it is a private island you have no choice but to dine in them. However, the breakfast included is absolutely huge and like a banquet that we never had more than a pool-side snack for lunch. Any more questions let me know and I will endeavour to reply before you go. P.S: If you can afford to do so I really recommend you have a spa treatment. I have been to a lot of spas around the world but here I had the most relaxing hot oil head massage treatment ever.